Enjoy some good summer reading. 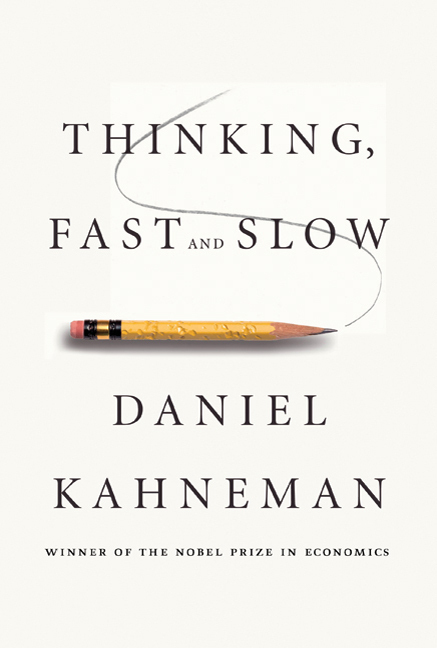 Noted for his extensive research, knowledge and work on the psychology of judgment and decision-making, hedonic psychology and behavioral economics, renowned Israeli-American psychologist Daniel Kahneman delivers a very fascinating exploration of the mind in Thinking, Fast and Slow. In this compelling book, we learn that there are two systems which drive the mind: System 1 – our fast, automatic, intuitive and emotional mode, and System 2 – our slower, more calculated and logical reasoning mode. Kahneman explains how the two systems affect how and why we make certain choices and decisions (in business and in our personal lives) and, more importantly, how we can employ certain techniques and preemptive measures to mitigate potential problems that our intuitive mind may cause. He then teaches us ways to successfully tap into the benefits of slow, deliberate thinking. Thinking, Fast and Slow is a treat to the intellect, one that needs to be read and digested slowly. Daniel Kahneman, winner of the 2002 Nobel Memorial Prize in Economic Sciences, is currently Professor Emeritus of psychology and public affairs at Princeton University’s Woodrow Wilson School. This entry was posted in heatherfromthegrove, inspiration, lessons learned, literati, non-fiction, other musings, visionaries, philanthropists & sheer brilliance and tagged 2002 Nobel Memorial Prize in Economic Sciences, behavioral economics, Daniel Kahneman, Heather Joan Marinos, Heather Marinos, heatherfromthegrove, heatherfromthegrove's non-fiction spotlight for today: "Thinking Fast and Slow" by Daniel Kahneman, hedonic psychology, intuitive thinking, logical thinking, Nobel Prize Winner, Princeton University, Professor Emeritus, psychology of judgment and decision-making, Thinking Fast and Slow, Woodrow Wilson School. Bookmark the permalink.